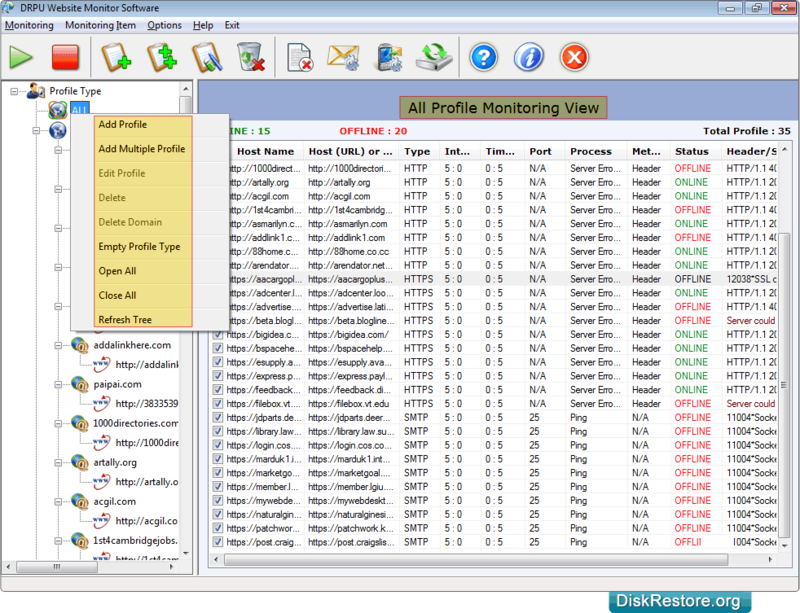 Website monitoring tool monitors availability status of your website in real time. Website monitoring software notify you when website goes down due to various errors such as Host not found, Connection Failed, Low bandwidth, Server not found or any other error in accessing your website or any web based applications. Software monitors uptime, downtime, ping status of your website and web based applications. 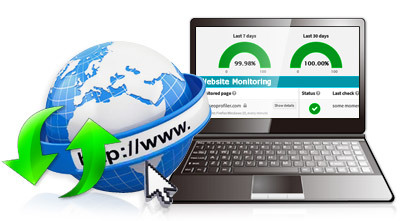 Webpage monitoring utility checks the status of your website giving report of your websites status in real time. Website performance monitoring software easily works with different types of internet protocols including FTP, HTTP, HTTPS, POP3 and SMTP (servers). All profile monitoring view to view offline/online status of websites. Click on 'Display Report' button to view report of monitored websites. 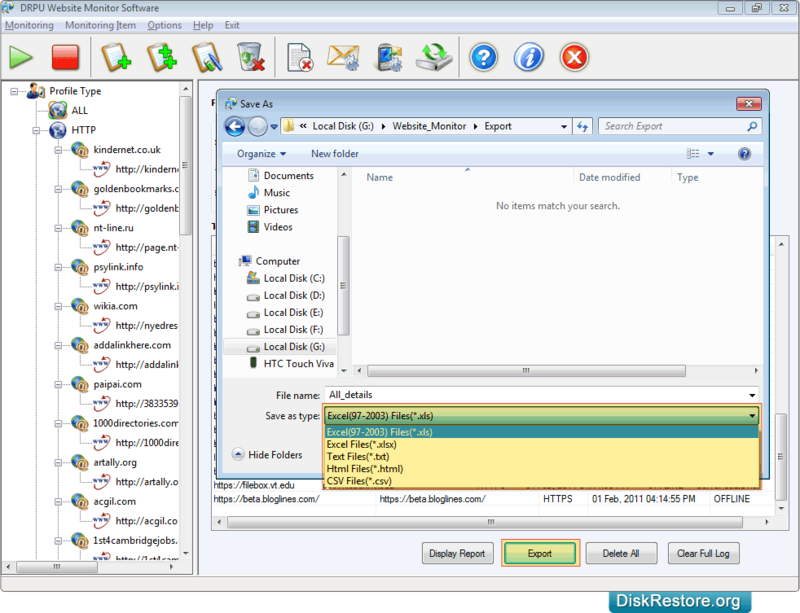 You can export monitored websites details in Excel file, Text File, Html File etc. by clicking on 'Export' button. Monitoring software sends alert notification by email / Beep sound or runs a specific program whenever your website goes down or is inaccessible to make you evaluate the real time performance of website and ensures availability of your website status 24 hours a day. Website monitoring software is useful utility for people who want to monitor their company, home or any other network. Web Site monitoring software helps in improving customer’s experience towards your website thus manages the website for ensuring availability of your webpage to every single visitor visiting your website.